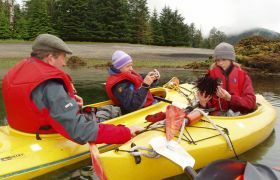 A maze of islands and waterways, full of wildlife, beautiful scenery, and the history and traditions of the Kwakwaka’wakw people. 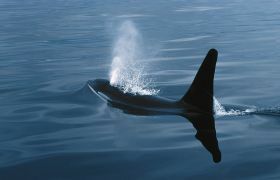 The waters of Johnstone Strait are considered one of the best places in the world to observe Orcinus orca, killer whales. 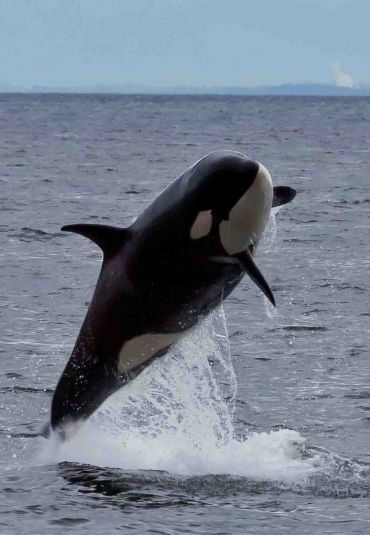 We also expect to see a diversity of other marine mammals, birds, black bears and a chance to view grizzly bears in the fjords that neighbour this area. The Kwakwaka’wakw people from most of the old villages in this region moved to the government run cannery town of Alert Bay throughout the 1900’s. The U’Mista Cultural Centre in Alert Bay displays traditional potlatch masks and other interesting cultural artifacts. 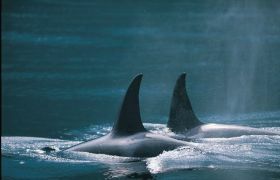 Orcas swim over to the boat, surface, giving us a chance to see their full bodies under the water, and sometimes roll on their side to look at us. 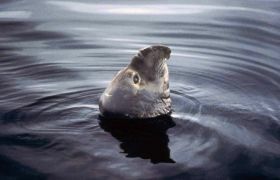 Breaching is when a whale leaps clear of the water and falls back with a huge splash. Their method of communicating under the water. We will learn to distinguish the difference between species. 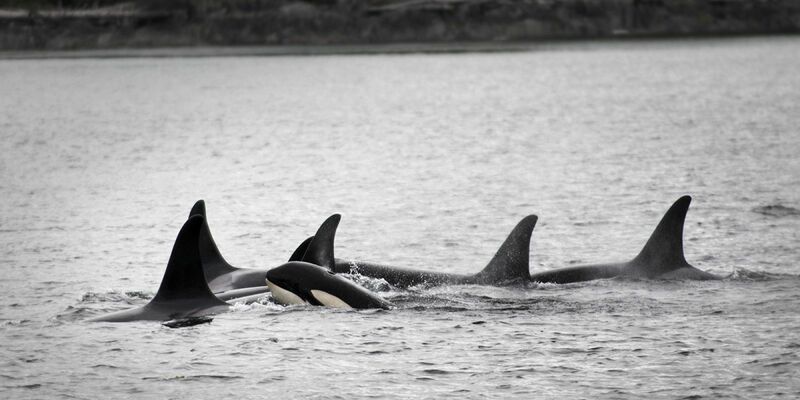 Large numbers of orcas congregate in Johnstone Strait a few times each summer. These ‘superpod’ groups are extremely exciting and we can only hope to be there - and have lots of film on hand. 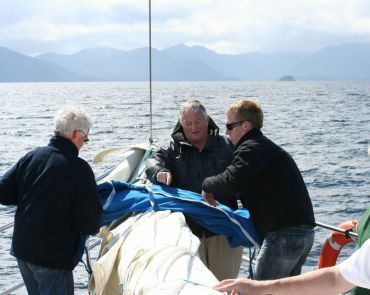 Johnstone Strait is considered the core killer whale area where we expect to also encounter humpback whales. 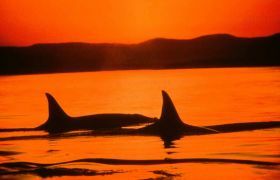 However, we could encounter whales at any point during the voyage as they travel miles every day. 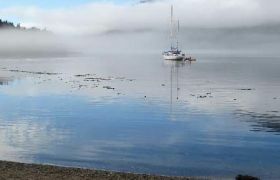 Very close to Robson Bight is the old Kwakwaka’wakw village of Mimquimlees. In 1921, police arrested the elders holding a “potlatch” ceremony here, and confiscated their prized ceremonial masks. The potlatch is a community event to witness changes in status (weddings, deaths, achievements). The government outlawed the ceremony believing it would help native people gain a good work ethic and speed their conversion to Christianity. Many of the masks and priceless pieces of art were then secretly sold to museum collections across North America. 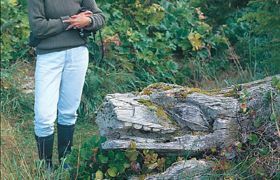 Today, at Mimquimlees, with permission of the band, we will see elaborately carved totem poles and the remains of native “great houses”. Inhabited for perhaps thousands of years, the village withstood attack, disease epidemics, and the laws banning the “potlatch”, before abandonment earlier this century. 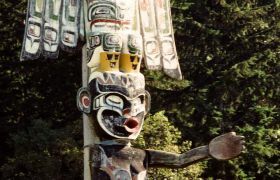 The Kwakwaka’wakw people from most of the old villages moved to the government cannery town of Alert Bay. The excellent U’Mista Cultural Centre now holds some of the famous potlatch masks and other interesting artifacts. Today in Alert Bay, children are once again being taught the native language, traditional dances, and art and family stories. 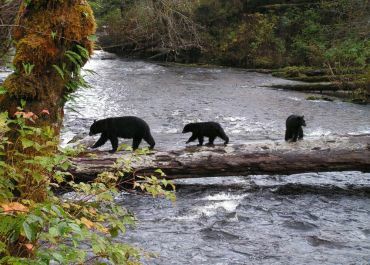 Black bears are frequently spotted among the islands on these trips. They like to roam the shore, feeding on crabs and other intertidal organisms. 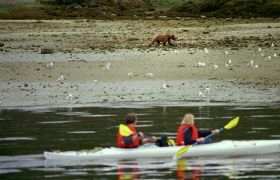 However, it is the opportunity to see grizzly bears feeding on spawning salmon that makes this trip unique! It is a classic wildlife experience. 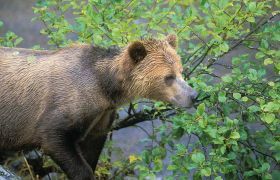 There are few places in the world that can provide consistent, safe and incredible grizzly bear viewing. 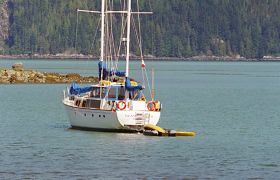 Glendale Cove up Knight Inlet is one of them, and has now become one of British Columbia’s premier wildlife viewing sites. This area has a very rich and varied bird population. Many people will be amazed at the number of bald eagles we see on the trip. 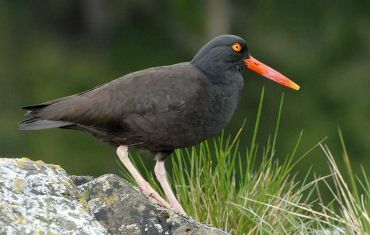 Colourful seabirds such as oystercatchers, pigeon guillemots and rhinoceros auklets are common and we see large numbers of smaller water birds, such as phalaropes. 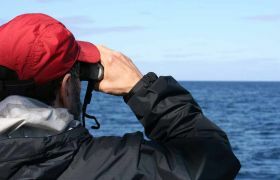 With the help of interested trip members we will keep a list of the birds and animals we sight during the trip. 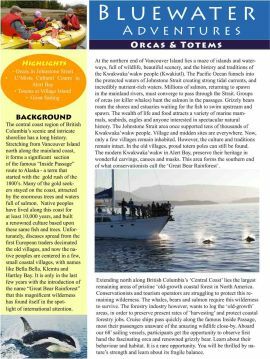 See our 4-page brochure on Vancouver Island North. 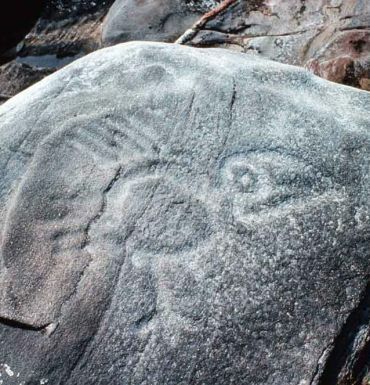 Includes: Coastal History, Whales, Bears, Birds, Research and more. 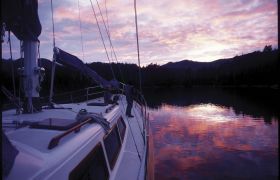 Download your 3-page Trip Itinerary on Vancouver Island North.